Ermagerd! Have you heard?! My new SAMCRO Collection has launched at the shop! Six new polishes, inspired by the Sons of Anarchy are now available at the shop! Swatches can be found at the shop page. Shop now? Click here 😉 Oh and don’t forget to enter code ’10OFF’ at check out to receive 10% discount. Alright, on to today’s polish… First of all I’m thrilled that I was lucky enough to add some polishes of Llarowe‘s The Mystery Of The Vanishing Pigments Collection to my collection. 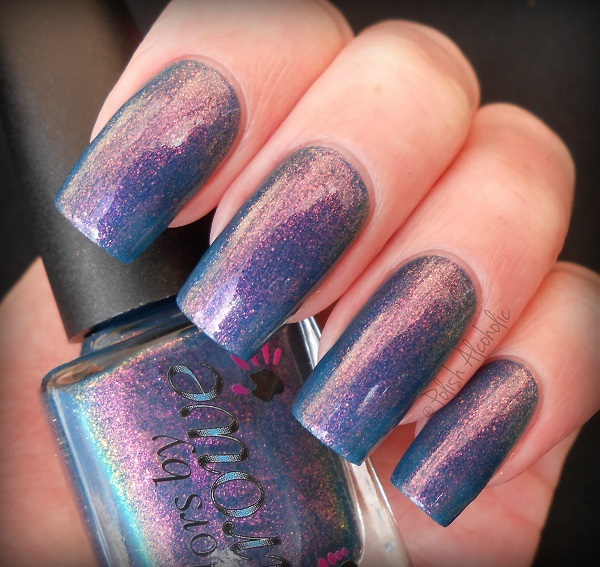 The collection was sold out at Llarowe in an eyeblink and there are only 5 left at Hypnotic Polish. So if you want to get your hands on some of the collection, now might be your last chance. Sadly they won’t come back! I’m not even going to try to describe Connie’s Saucy Brother since it’s such a complex shade. MAN… would you look at that shimmer! I already shared my excitement about this one on Instagram. I quote: ‘Someone please build a swimming pool in my garden so that I can swim in this polish all day, every day’. That’s how I feel about this polish. It is absolutely stunning! This is three thin coats plus top coat. Did you manage to get your hands on polishes from this collection? Which one(s)? 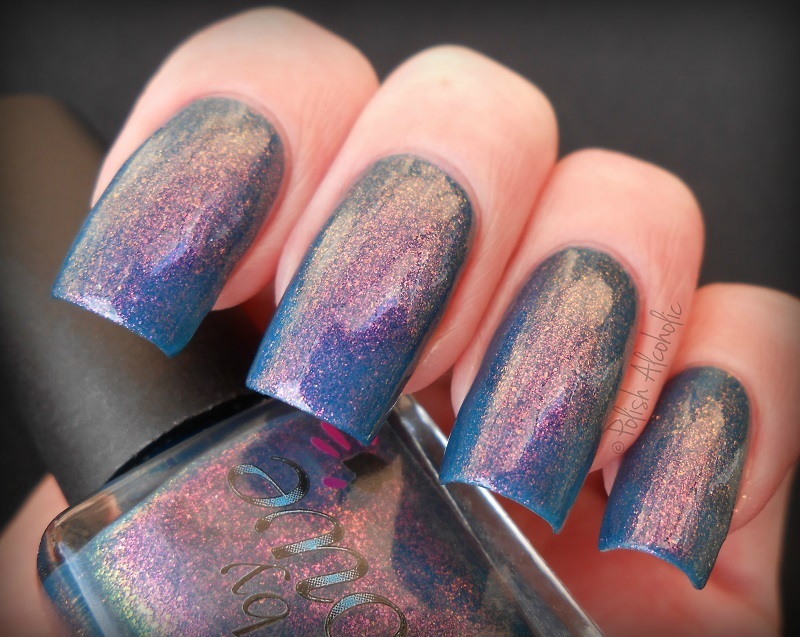 This entry was posted in Indie and tagged cbl, colors by llarowe, llarowe, llarowe connie's saucy brother, review, swatches, the mystery of the vanishing pigments by Polish Alcoholic. Bookmark the permalink.